ForestFinest Consulting GmbH (FFC) and CO2OL, its brand for corporate climate action, have issued their first declaration of conformity to the Sustainability Code thereby illustrating how corporate responsibility is enacted in their own operations. 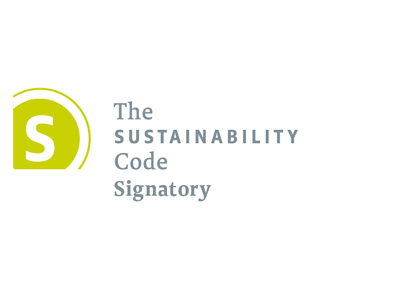 The Sustainability Code is a reporting framework which enables companies to demonstrate their sustainability performance on the basis of clearly defined twenty criteria. To focus at these essentials and make performance data more comparable has always been the Code’s main goal. The Code makes it easier for companies to enter reporting on sustainability issues. It is also compatible with other reporting standards such as GRI 4 or Global Compact. It has been developed to address on one hand the growing public interest in corporate responsibility, and on the other hand the lack of comprehension and comparability for outsiders if it comes to the presentation of data. Sustainability reports are often very different and extensive, which makes it difficult to grasp the material aspects. The Code allows to quickly identify quality differences between companies since they all report under the same set of criteria. The Code is also helpful to comply with the EU Directive on disclosure of non-financial information. Companies being legally required in Germany since the beginning of 2017 to disclose information about their environmental, social and human rights commitments can meet theses requirements by using the Sustainability Code. For companies facing new challenges in reporting, sustainable supply chains and controlling, ForestFinest and CO2OL provide a range of services to get started with sustainable corporate actions and implement sustainable management systems.